It’s been a long time coming for Allison Springer and Arthur to get back on top of a major podium. They last won a CIC3* at Red Hills in 2011, and they added another three-star victory to their longtime partnership today at Carolina International, defending their overnight lead with a clear cross country trip and just 3.2 time penalties to finish first on 46.6. Is the Arthur Syndicate’s Arthur just getting better with age? At 17 years old, he delivered the only finishing score in the 40s in a 64-strong field of the top combinations in the country. The win today means this stalwart Irish Sport Horse gelding is now officially qualified to make his seventh appearance at the Rolex Kentucky Three-Day Event next month. Maya Black and Doesn’t Play Fair. Photo by Jenni Autry. Maya Black and Dawn Dofelmier’s Doesn’t Play Fair rallied in a big way after pulling two rails on Marc Donovan’s show jumping course yesterday. That knocked them out of a three-way tie for the lead following a stellar dressage test on Thursday, but Maya put the pedal down today to pilot the 11-year-old Holsteiner gelding to one of only three double clear rounds in the division, moving up to finish in second place on a final score of 53.0. Lynn Symansky and Donner. 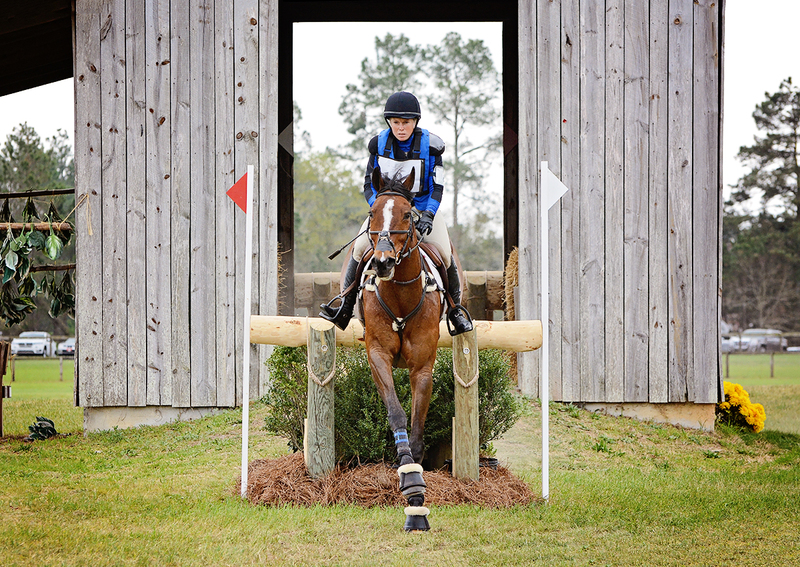 Photo by Rare Air Eventing Photography. It was a good day to be sitting on a Thoroughbred as the three-star riders tackled the forward, aggressive pace Ian Stark laid out on this brand new track, and Lynn Symansky and the Donner Syndicate’s Donner had one of the faster rounds in the division to cross the finish flags with 4.8 time penalties. 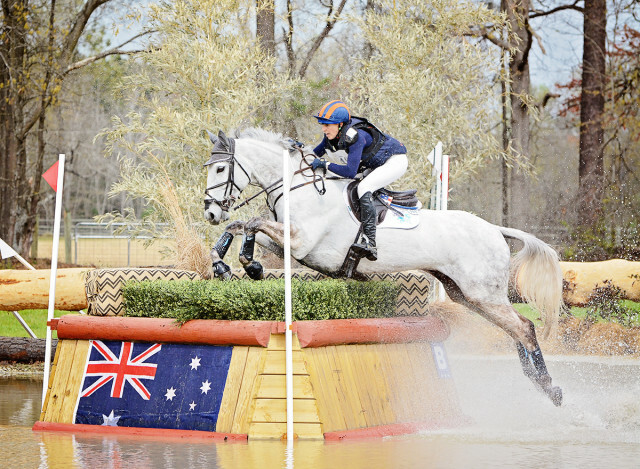 They finished third on 53.0 — an excellent prep for either Rolex or Badminton, where they’re currently cross-entered. “This type of course doesn’t suit him quite as well. Sometimes having a few more galloping fences and having it hit hard toward the middle and the end suits him a little bit better. He’s more of a longer-type-of-course horse. In the beginning he was just a little bit sticky and a little bit surprised,” Lynn said. As for how she thinks this new course benefits horses and riders aiming for Rolex: “I think it depends how it ended today. I think if you had a good go around you are pretty confident, but not too confident. You don’t want to be too confident (going into Kentucky). It definitely tested where we need to go home and do some homework or where we can ease off going into Kentucky. Phillip Dutton and David Garrett’s Indian Mill completed their first three-star as a combination in good form, moving up from 10th place after dressage with a clear round and 6 time penalties to finish in fourth place on 53.5. 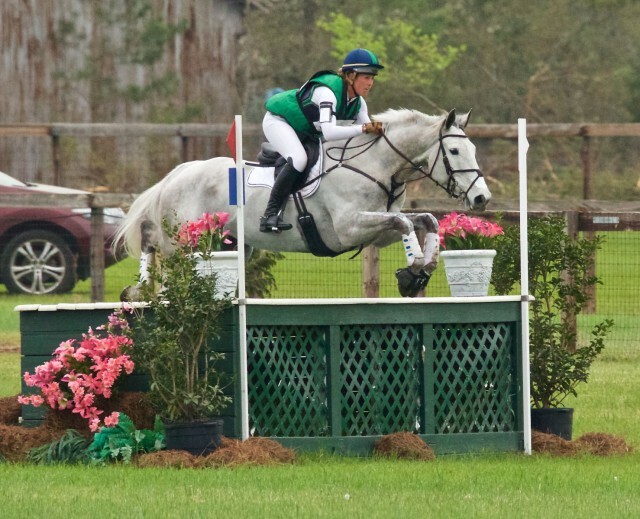 The 11-year-old Thoroughbred gelding, a former ride of Paul Tapner, is also currently entered to compete at Badminton in May. Laine Ashker piloted her own Anthony Patch to a beautiful clear round with 4.8 time penalties to round out the top five on a final score of 55.5. 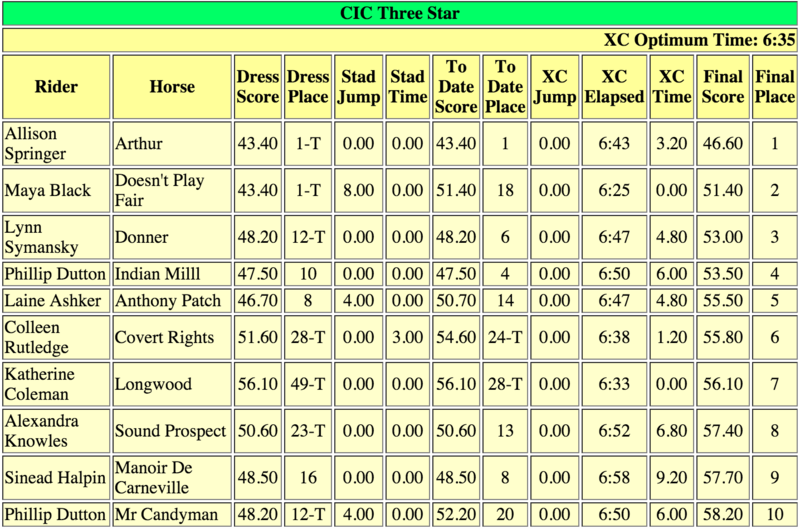 That’s three Thoroughbreds finishing in the top five of a massive three-star division. And that also means two 17-year-old horses finished in the top five. If experience comes with age, “Al” is looking in fantastic form to tackle the sixth CCI4* of his career at Rolex. Colleen Rutledge and Covert Rights made the biggest move up the leaderboard in this phase, shooting up from equal 24th place to finish in sixth on 55.8 with a clear round and just 1.2 time penalties. 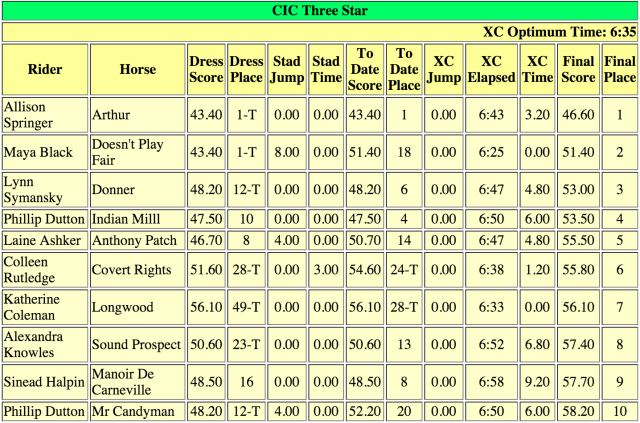 Katherine Coleman and Longwood also made an impressive jump of the leaderboard with one of the three double clear cross country rounds, moving all the way up from 49th after dressage to finish in seventh place on 56.1. Sound Prospect became the fourth Thoroughbred to finish in the top 10 with Allie Knowles in the irons. The 14-year-old gelding owned by Sound Prospect LLC cruised around for a clear round with 6.8 time penalties to finish in eighth place on 57.4. 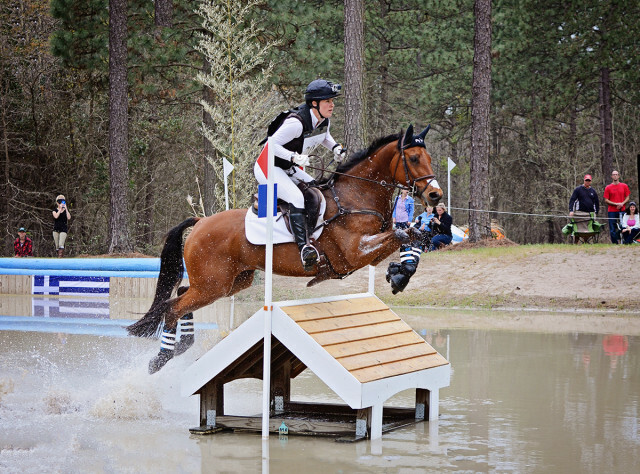 Sinead Halpin and Manoir de Carneville completed their first FEI competition since the 2014 World Equestrian Games in textbook form, finishing ninth with 9.2 time penalties on cross country. Phillip Dutton finished a second ride inside the top 10 aboard Mr. Candyman, who had the honors of being the guinea pigs as the first out of the start box on Ian Stark’s hefty new three-star track. The course certainly caused its fair share of drama. Most notably, Buck Davidson had to withdraw both Ballynoe Castle RM and The Apprentice, who were sitting third and fifth, respectively, after he fell from Carlevo at 8b, a triple brush coming out of the Tobacco Barn. Buck confirmed to EN that he is totally fine after the fall, but since he did hit his head as he fell, the medical staff on site felt it would be best for him to withdraw the remainder of his rides. “Things can always be worse, and I’m headed home to see Aubrey and Andrea a day early,” Buck said. Master of All Things Rick Dunkerton kindly provided the fence report to EN so you can break down where the majority of the problems occurred on course. You can click here to see the live scores. Sixty-four horses and riders ultimately set out on course, with 59 completing. About 20 percent of the division completed with jumping penalties. There were two other rider falls on course. 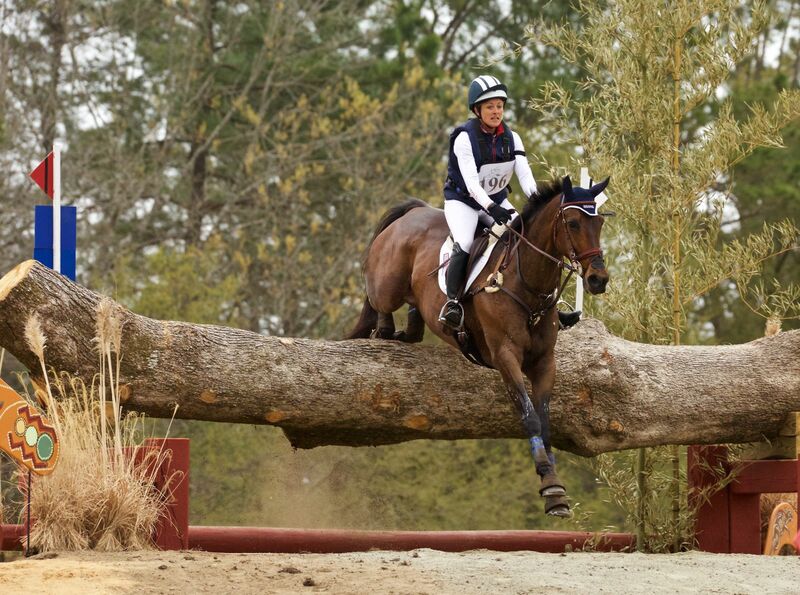 Rachel McDonough and Irish Rhythm parted ways at the third fence when the horse left a leg, and Rachel confirmed they are both totally fine and still planning to aim for Rolex next month. Daniela Mougel and Cecelia fell at the same fence as Buck Davidson did from Carlevo after a lengthy hold on course; she was also up and OK after the fall. Looking to the Advanced division, Kylie Lyman and Joan Nichols’ Lup the Loop took the lead following cross country with a clear round and 9.2 time penalties. Lauren Kieffer and Jacqueline Mars’ Landmark’s Monte Carlo sit in second on 39.4, with Boyd Martin and Welcome Shadow in third place on 40.3. At the conclusion of three full days of competition and with the finale of the National divisions still to come tomorrow, we really can’t say enough about what an unbelievable event this has been. 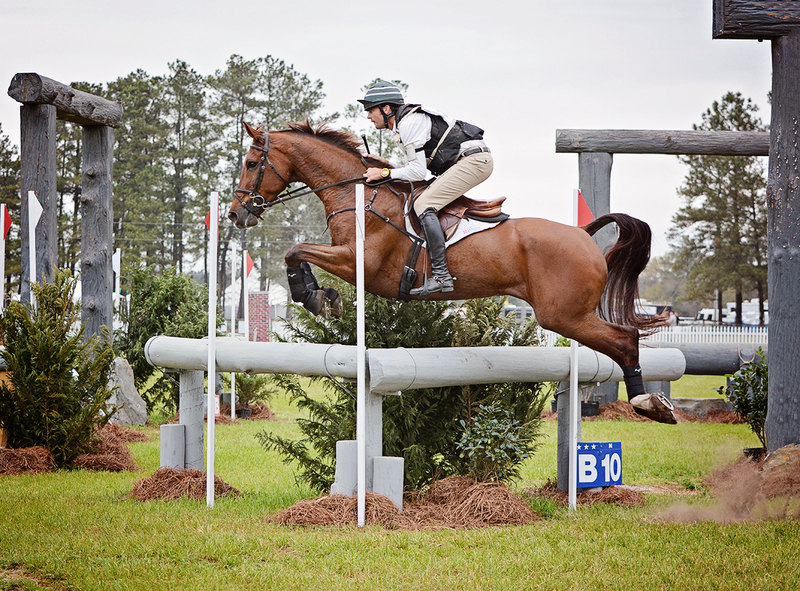 Every year the dynamic duo of Jane Murray and Bobby Costello, who chair the organizing committee, join forces with a slew of other talented officials and volunteers to bring a top-notch event to the Carolina Horse Park. Kylie Lyman and Sacramento. 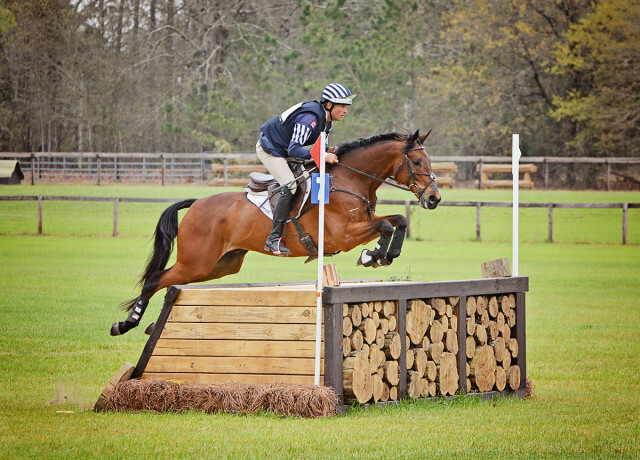 Photo by Rare Air Eventing Photography. The much anticipated Spanning the Globe Competitor’s Party is getting ready to kick off now, so stay tuned for much more from #2016CI. 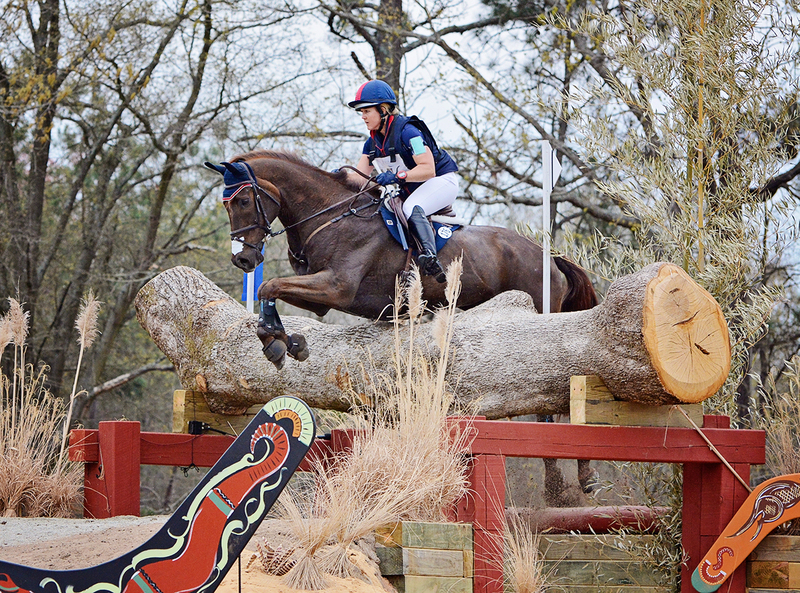 If you missed the two-star report on Will Faudree’s inspiring comeback win with Jennifer Mosing’s Caeleste, click here to read it. And click here to catch up with all of EN’s coverage so far. Go Eventing.